Born on the 6th June 1956 and schooled in the old Transvaal, Ted was drafted into the SA Engineering Corps in 1974 after a short period at Murray and Roberts Roads and Earthworks. After a successful 2 year period and being commissioned as an officer, Ted joined Grinaker Construction Natal where he enjoyed 11 years of construction training, finally leaving in 1987 as a contracts manager. It was at this time that Ted decided to test his entrepreneurial flair and ventured into other avenues of construction. During this period he spent short stays at S M Goldstein, Octacon Construction, T S F Projects and later managed Dipac Natal. 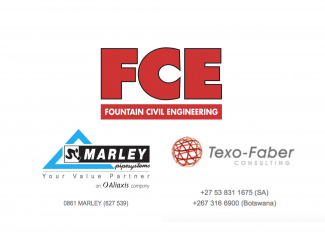 With just over 20years of construction related experience in bridges, concrete construction, earthworks and roads, pipelaying and housing and an opportunity that could not be missed, Ted opened the doors of Fountain Civil Engineering (Pty) Ltd. on the 26th October 1994. Ted is married with 2 (3) children, lives in Hillcrest and enjoys his family and mountain biking. Professional Construction Manager, Reg. No. C455/2006. Joe obtained his B.Comm degree through the University of Zululand and his B.Compt/Hons CRA through UNISA. 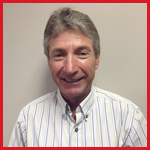 Joe is one of the founding partners of Gobodo Incorporated - an accounting and auditing practice. Joe established the corporate finance and advisory services as a division within Gobodo Incorporated in 1997. He subsequently led a management buy-out (MBO) of the corporate finance division which was rebranded as aloeCap (Pty) Ltd. It now boasts a boutique investment banking and a private equity fund business. Subsequent to the MBO, he resigned as a partner of Gobodo Inc. in 2000 to dedicate his time to aloeCap. As the leader of the corporate finance team, he has been involved in a number of mergers, acquisitions and mandates in the public and private sector. Prior to being appointed as the Executive Chairman of aloeCap he was the Managing Director. 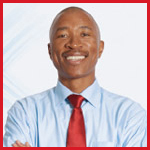 Joe led the team that established aloeCap Private Equity Fund managers that raised a 3rd party fund of R250 million. Before joining Gobodo Inc., Joe spent two and a half years at Nampak Tissue, a division of Nampak Limited, where he worked as a financial manager. He also spent two years at the Department of Finance in KwaNdebele where he worked as a financial accountant before joining KPMG where he qualified as a Chartered Accountant in 1993. Kim was born on the 6th October 1966 and grew up in the Westville area of KZN. After completing his National Higher Diploma in Civil Engineering, during which he spent time at Laskey Construction, he then joined Shire Construction, where he obtained most of his training in roads, earthworks, golf estates, bridges, storage dams, township services and infrastructure, and finally the opening and closure of landfill sites. 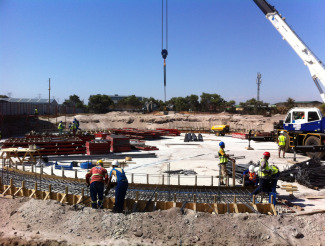 In 1996, having obtained the position of contracts manager at the tender age of 30, Kim decided to spread his wings and joined Fountain Civil Engineering (Pty) Ltd. With his knowledge, experience and quiet manner, Kim has very successfully led his team from small beginnings to become the leading landfill construction contractor in Kwa-Zulu Natal and more recently has established the company in the Gauteng region, creating good relations with leading Waste Management companies and Consulting Engineers. 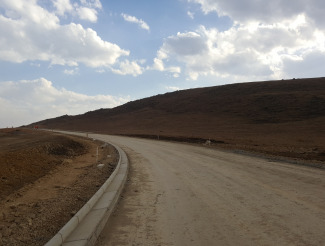 With diligence and interest in the landfill business, Kim has expanded the company's field of operation into the Gas Extraction field and continues to make good progress whilst gaining continued confidence of the specialists in this industry due to good quality workmanship and attention to detail. Kim is married with 3 children and resides in Westville. Kim enjoys all sports and is very involved with his children who excel at BMX racing and where he is actively involved in the administration of the sport both locally and nationally. Brett was born on the 20th November 1975, and has lived in Durban since he was 6. After finishing school, Brett studied his Bachelor of Accounting Science through UNISA while working part-time as an amusement arcade manager. After graduating, Brett commenced his training contract with Ernst & Young while simultaneously completing his Honours with UNISA, part time and in 1 year. Brett then passed both Part I and Part II of the Chartered Accountant qualifying exam at the first attempt and qualified as a Chartered Accountant (South Africa) in 2000. After a period of 3 months on secondment in the San Francisco office of Ernst & Young in 2000, Brett returned to Ernst & Young in Durban where he spent 3 years as an audit manager. It was here that he gained valuable financial and auditing experience across numerous industries. In 2003, Brett moved out of the auditing profession into commerce and joined Hulamin Limited (formerly Hulett-Aluminium) as a financial manager. Over the course of 5 years, Brett gained extensive experience in the financial and commercial aspects of a large, dynamic and growing business. Brett was also a key member of the team that worked on the listing of Hulamin on the JSE in 2007. 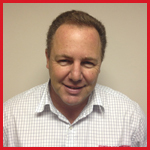 Brett, seeking a new challenge, joined Fountain Civil Engineering (Pty) Ltd in August 2008, as the financial manager. After a busy and successful year with the company, including establishing key relationships with the various banks and the auditors, Brett was appointed the financial director on the 1st August, 2009. Brett is married with 2 daughters and lives in Kloof. He enjoys business, property and the stock market. 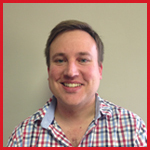 Brett also values the time spent with his family in the Berg, and enjoys regular hiking in the mountains.